We are back to homeschooling. This time, though, Kristy and I share the teaching. Kristy does Mon, Wed, and Fridays. I do Tues and Thursdays. 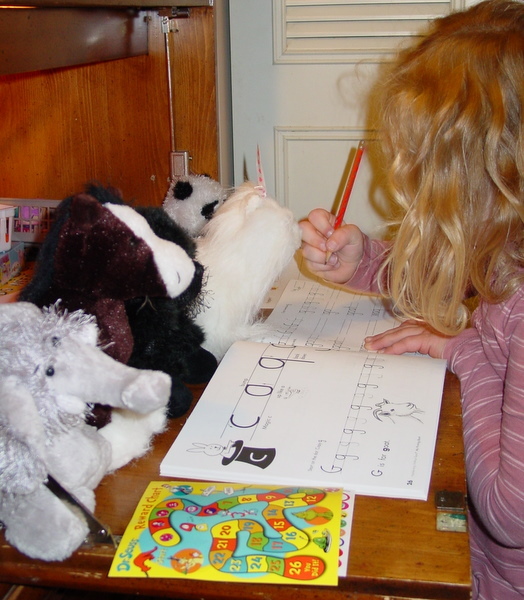 Here is a picture that shows one of the advantages of homeschooling: Saarah surrounded by her beloved stuffed toys. She is a joy to teach. Like a sponge that wants to absorb all there is to learn.